Want to be healthy, rid yourself of toxins AND lose weight? You have come to the right place! Following the HMD Ultimate Detox Program is a great start to a new, healthier you. Since our unique patent-pending HMD Detox product increases your metabolism, and Chlorella helps to lower body fat percentages, your HMD detox is the ideal time to treat your body to a complete detox experience that will result in healthy weight loss. This detox diet has been developed by Dr. George Georgiou and is the result of 22 years of research in the field of detoxification. It is an alkaline diet, which will regulate your body’s PH level. Our standard Western diet is highly acidic. A lot of researchers believe that acidic body PH levels contribute to the development of diseases and illnesses. An alkaline diet will help you to cleanse your system and rid yourself of nasty toxins that have accumulated in your body over the years. People tend to lose at least 2-4lbs on this detox diet, although some lose considerably more. 4lbs may not seem too much, but keep in mind that this is healthy diet aimed at detoxifying your entire system – it’s not a crash or fad diet that promises miracle results. Such diets often do more harm then good. Firstly the rapid weight loss in those diets often stems from fluid reduction, not any actual loss of fat. Secondly they often trigger your body to go into “starvation mode” and burn fewer calories! [If your body receives too few calories a day, it starts conserving energy by lowering its metabolism. This means more weight gain in the long run and can lead to the famous yo-yo effect]. You do not calorie count or restrict food quantities, however it is paramount that you only eat fruit and vegetables [organic if possible] and nothing else. This is not easy and you must be patient and put your mind to it, but the results will be worth it! 15-Day Ultimate Detox Diet: What should you eat? SALADS – use any type of fresh vegetables you like, in any combination. Use organic vegetables when available, and include bean sprouts when available. Salad dressings should be kept simple – a little virgin olive oil with fresh lemon or lime juice, or cider vinegar. Add plenty of fresh onion and garlic – these are very detoxifying! STEAMED VEGETABLES – eat any variety you like, including broccoli,cauliflower, potatoes, beetroot, carrots, etc. Steam as opposed to boil, and eat with a little herbal salt, lemon and a little virgin olive oil with plenty of garlic. You may also have jacket potatoes with a little olive oil and garlic and parsley dressing. VEGETABLE/FRUIT JUICES – drink a minimum of 1-3 per day, and try to include at least one carrot juice mixed with green juice (spinach, parsley, cabbage, and any other green vegetables). About one-third of a glass of green juice, topped with carrot juice. 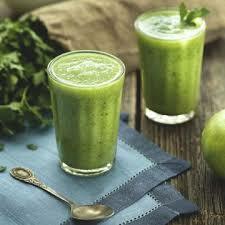 There is no limit to the amount of fresh vegetable and fruit juices that you may drink in a day. FRESH FRUIT – choose the fruit of your choice (preferably organic) and eat as much as you like, whenever you like. You could begin the day with 2-3 pieces of fruit, which are gentle on the digestive system. Make a tasty fruit salad. 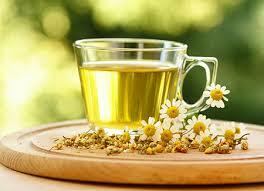 Also drink plenty of water and HERBAL TEAS – choose any of your choice. Chamomile is a good relaxant, Aniseed and Mint are good for the digestive system and Dandelion tea is excellent for purifying the blood and detoxifying the liver. Sage tea is a blood cleanser and Nettle tea is a wonderful cleanser for all the detoxification organs. Drink as much as you like, with a little honey on the tip of a teaspoon if you like, but plain is best. Simply put the mint, cinnamon and ginger in a teapot and pour hot [but not boiling] water over it. Put in a bag of green tea and let it stew. Remove the tea bag before the brew gets bitter, but leave the remaining ingredients to stew for longer, according to taste. The tea can also be had cold with some fresh orange or lemon juice. During the first few days on our Ultimate Detox Diet you may experience certain detox symptoms such as headaches, lack of energy or diarrhea. This is due to the large number of toxins that are suddenly being flushed out from your system. This effect has been dubbed ‘the healing crisis’ as it is a sign your detox diet is actually working. Don’t worry; these symptoms will quickly disappear after which you will feel great! • You are pregnant or breastfeeding: Toxins released during the detoxification process can harm the embryo, or get passed on to your baby via breast milk. • You have diabetes or heart problems: In this case please consult your health practitioner before embarking on any detox diet. • You are recovering from a serious illness or operation: If you are recovering from cancer, any type of operation, an accident or other serious disease, then you should be extremely careful of detoxifying by yourself, as the toxins released in the body could upset the healing process and period of convalescence. • You are taking prescription medication: The toxins released during the detox may mix with the drugs to exacerbate the healing crisis and cause further symptoms. Please consult your health practitioner for more advice.